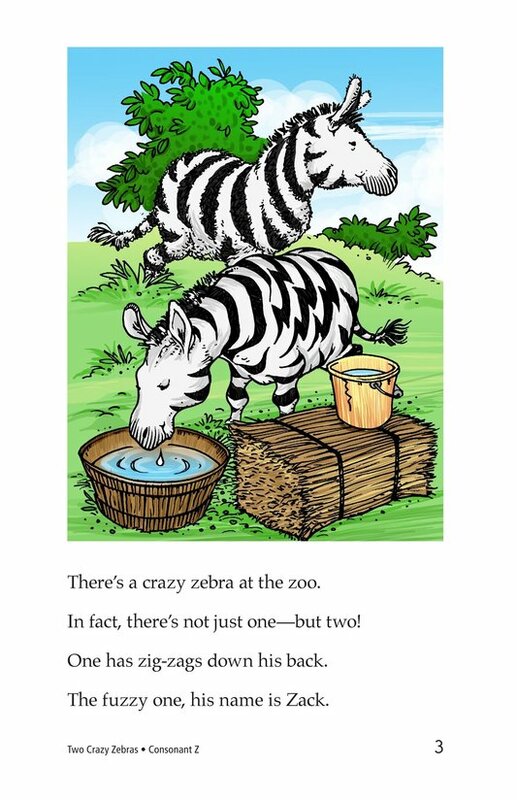 The two zebras at the zoo don't look or act like any zebras anyone has ever seen. 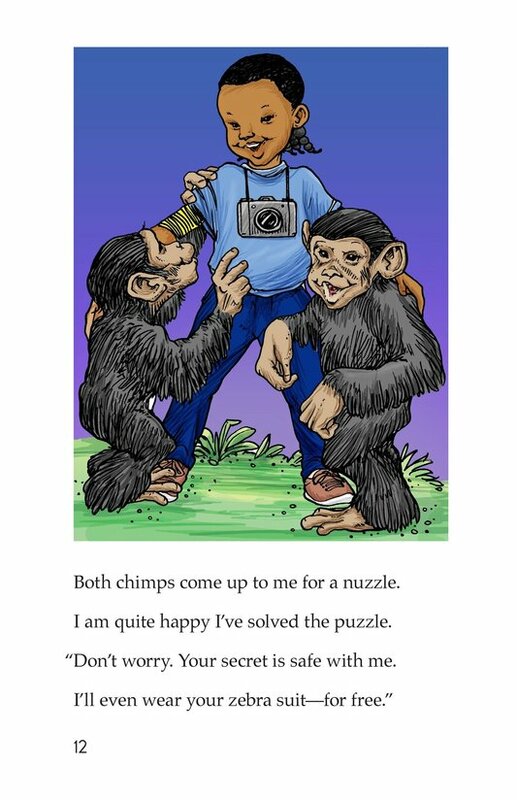 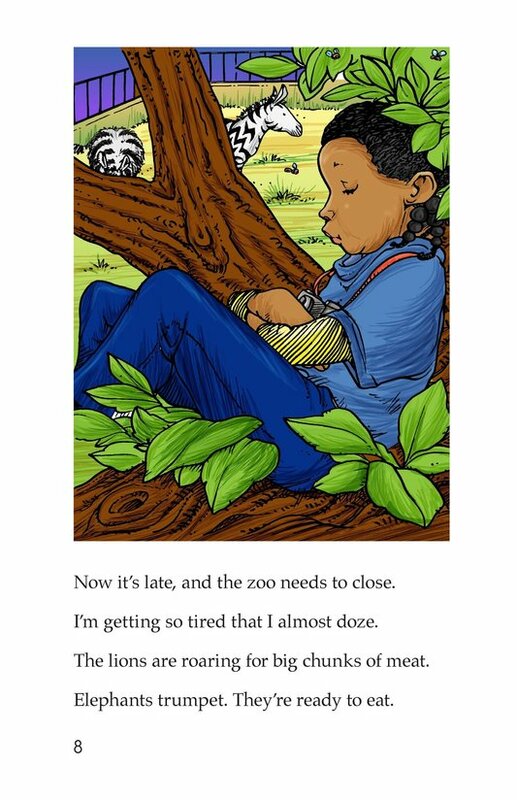 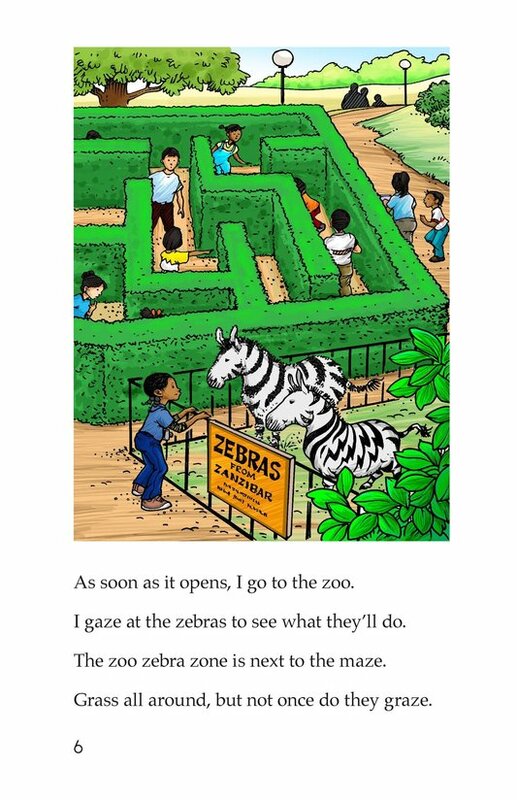 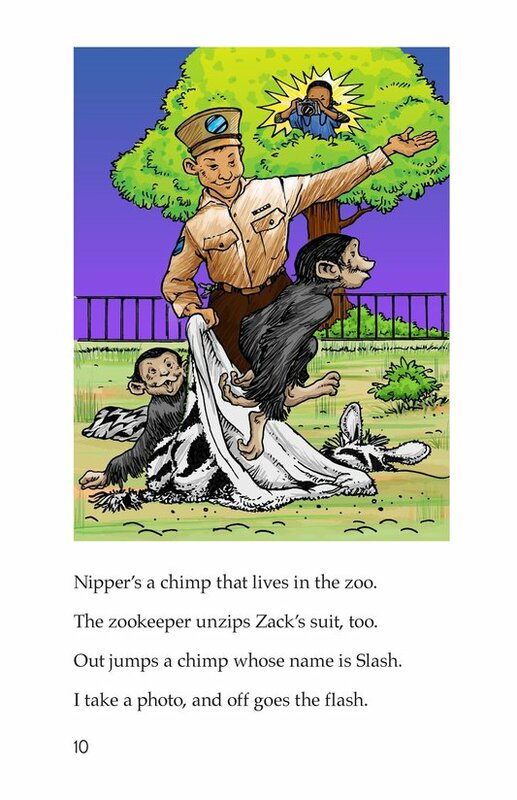 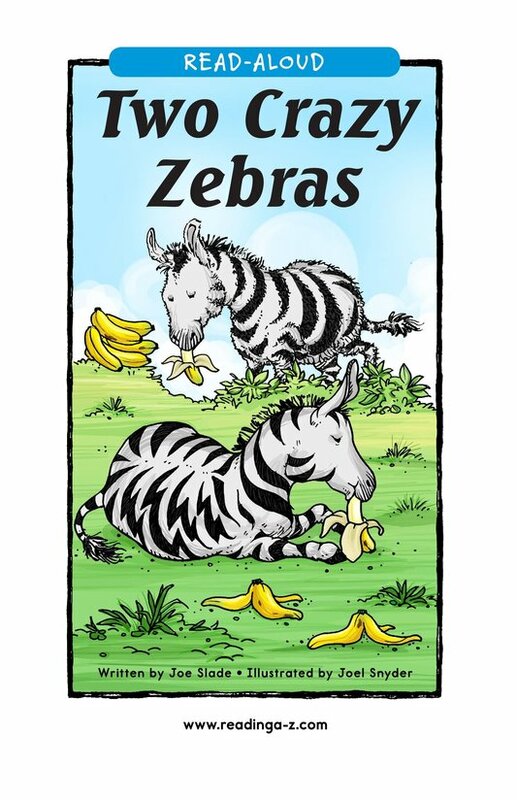 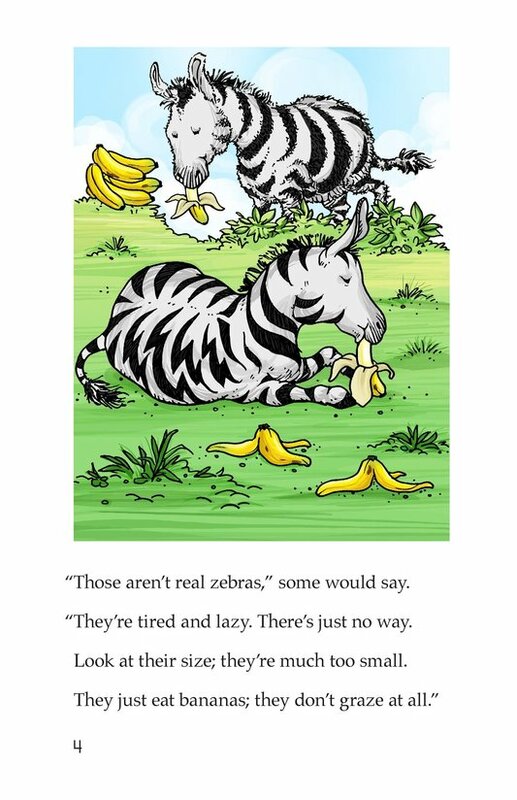 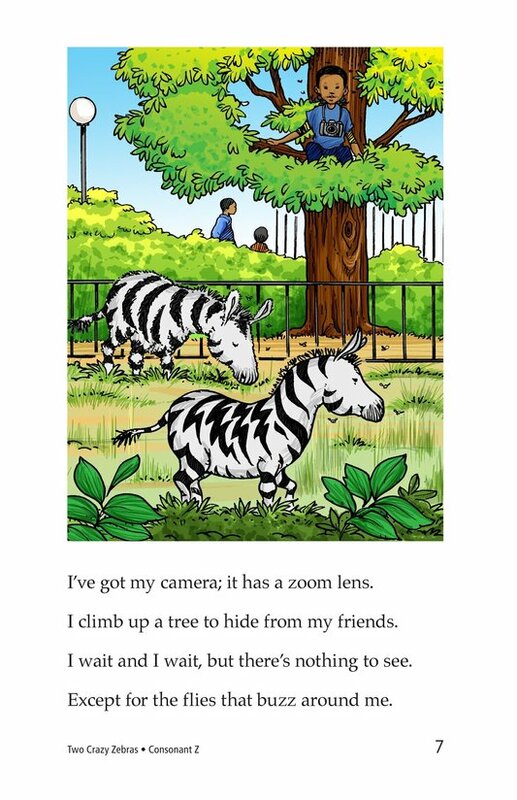 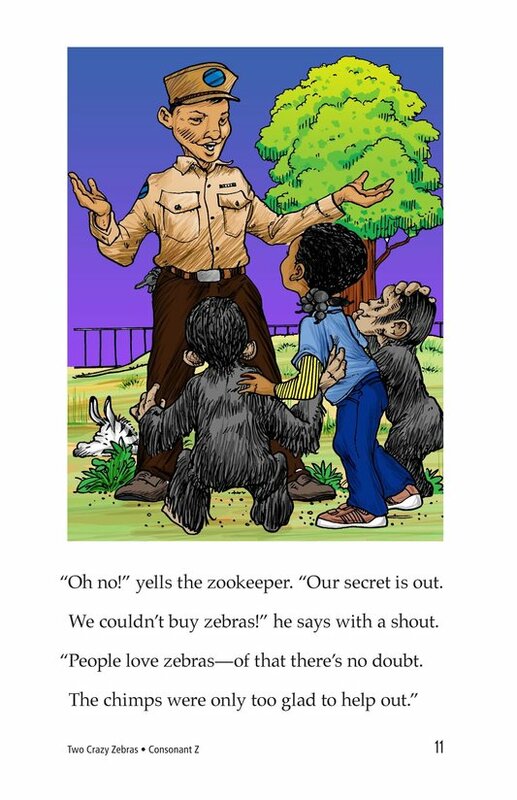 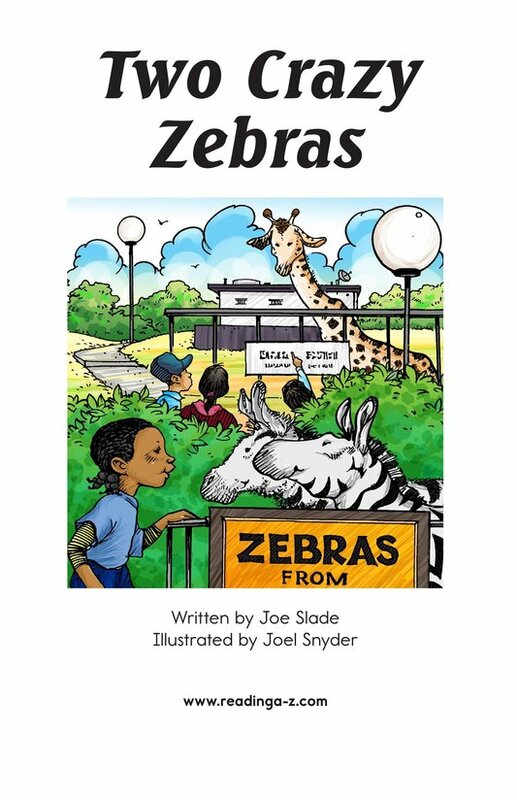 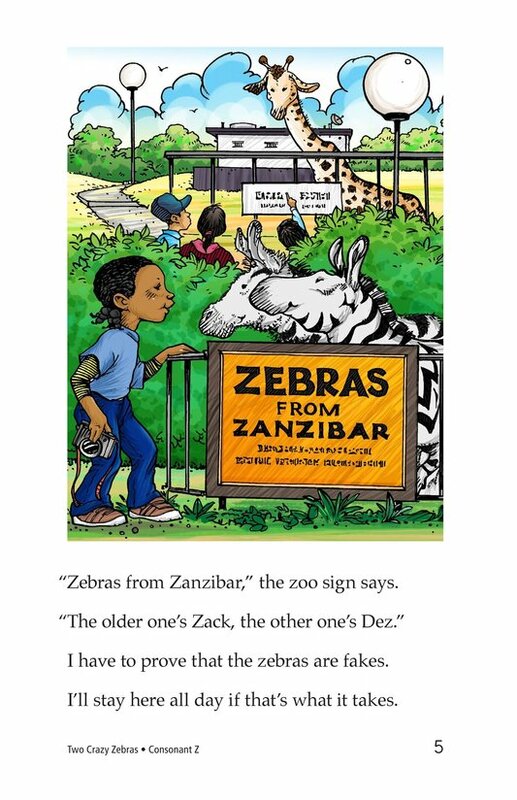 The narrator of this rhyming story camps out in a tree near the zebra cage to uncover the truth. 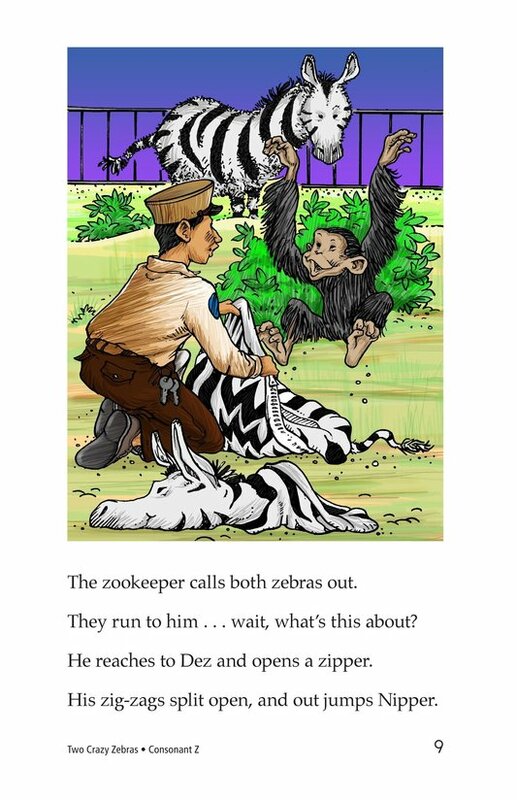 She learns that when the zoo couldn't buy zebras, two chimps volunteered to dress up as those animals. 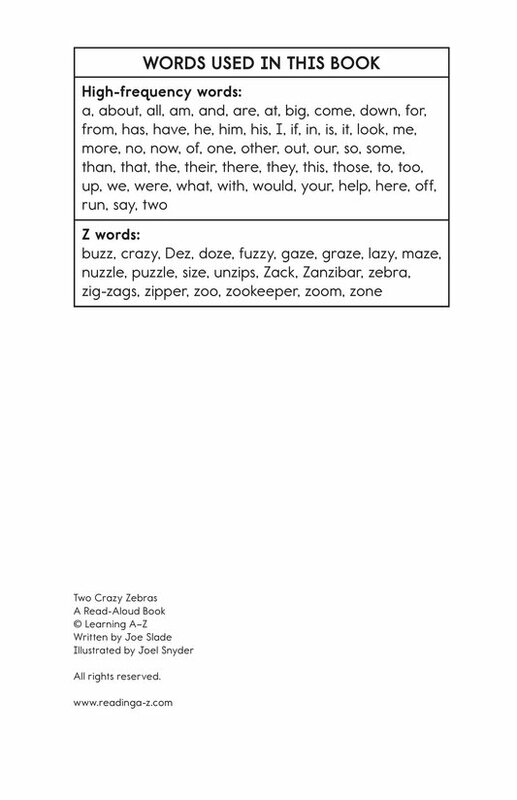 Introduce and expose students to the /z/ sound represented by the letter z.